Happy birthday to us, happy birthday to us, happy birthday dear Israel, happy birthday to us. It’s our 70thtoday, and the few millions of us here are mostly out on the roads, visiting air force bases, national parks, waving flags and fanning the grill with our families and friends. But not far below the surface there’s a sincerity in it all, a true recognition and celebration of our very existence, something we don’t take for granted. 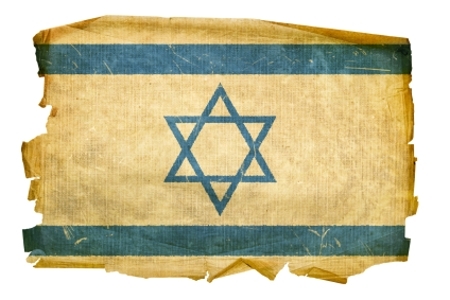 Did you know that Israel is the only country in the world whose national anthem is in a minor key? Could be because after 2000 years of persecution it was built on the ashes of a near genocide. Israel has fought three existential wars in its 67 years, and hence lives with an acute sense of fragility. It’s the only country in history recreated by a miraculous act of will out of a tribal imagination, the only nation to return to its homeland from dispersion, reviving a dead language on the way. It’s also the only democracy in this part of the world, a bizarre mix of refugees from every corner of the world stuck in the middle of the Levant, hence a sharp sense of irony regarding our still-evolving national identity. People run around like crazy trying to be normal in the most abnormal of societies. In the wake of the 1973 Yom Kippur War, in which the country barely survived obliteration, a bunch of army buddies formed a band called Kaveret (‘beehive’), sometimes also known as Poogy (after the name of their first album, “Poogy Stories”). 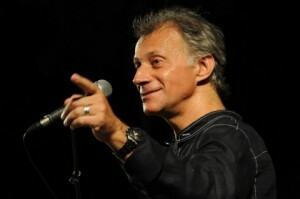 The leader and chief songwriter was Danny Sanderson, an Israeli who grew up in the US on rock and roll. 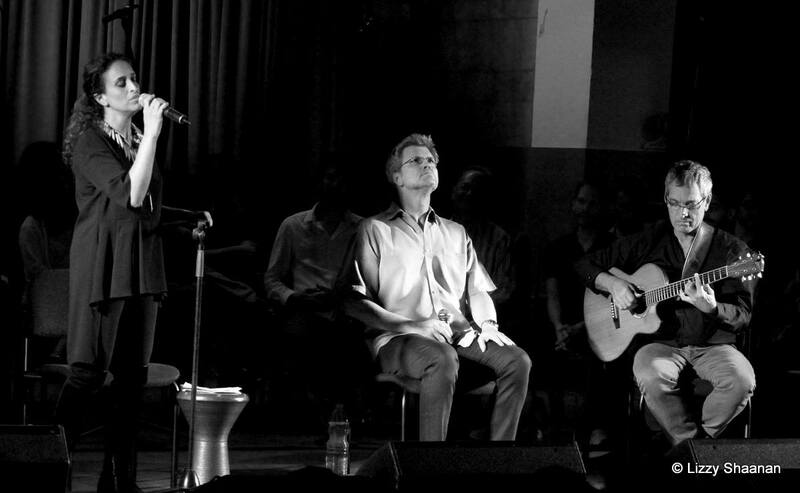 In three years they recorded three albums as out of place and ahead of their time in the Israeli musical landscape as the country is in the Middle East – sophisticated in music, production, performance and content. Many of their songs have become cultural icons, still sung today by teenagers and recycled by rock stars. I’d like to share one with you, sort of a mock anthem, a modest little song that captures the spirit and ethos and self-image of this noisy, neurotic little country better than anything else I know of – ‘Little Country’. We Israelis get pretty tired of seeing ourselves on the front page of the NY Times every day. On the other hand, we also see ourselves as the center of the universe. Go explain it. Well, Sanderson’s lyrics do it best – our wry perception of our very existence, our precariousness, our homey patriotism better expressed in self-effacing humor than in pompous parades. Happy birthday, Israel. Here’s SoTW’s official nomination for our unofficial anthem. We opened a new land. We’ll just hide here and never leave. Breathing for years with no reason. One day, if we should, maybe we’ll go out. I won’t feel the need. We’ll live, we’ll die, then we’ll see. 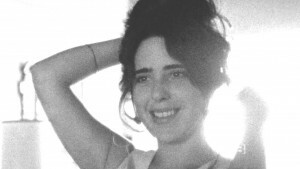 I landed in Israel in 1970, twenty-two years old, carrying a passport from the Woodstock nation, Uncle Sam in hot pursuit to conscript me to Viet Nam. I was carrying one suitcase of clothes (no winter coat) and one box of records without which I wasn’t going anywhere. The music scene in my adopted country was as foreign to me as the backwards alphabet, the Bolshevik political climate and the Levantine cultural assumptions. The Big Deal in popular music back then in the interbellum years (1967–1973) was the army troupes. The IDF (Israel Defense Force) was a civilian army. Everyone joined at eighteen, boys for three years, girls for two. They still do, actually. 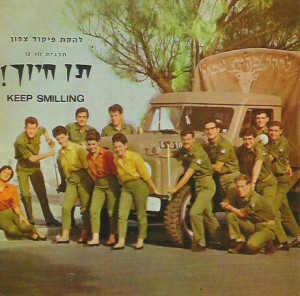 In those days, the IDF (Zahal in Hebrew) was at the center of the country’s mind, pocketbook, and Top 40. The dream of every young musician was to be accepted to an army entertainment troupe (lahaka tzvait), of which there were more than a dozen, and most of the future stars ascended through this farm system. Each comprised a dozen or more conscripts. They would develop a program of songs composed and directed by the leading lights of Israel’s popular culture, and spent their service performing for the troops. 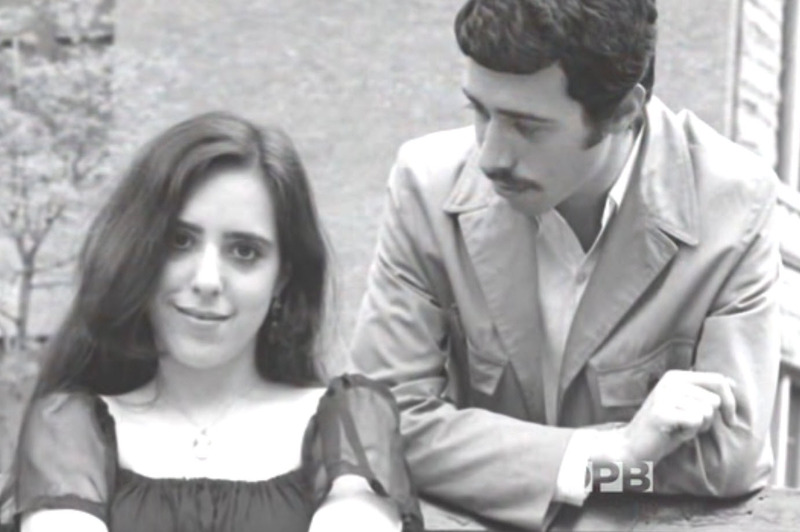 These programs were the heart and soul of Israel’s popular culture. The music was innocent, the frame of reference communal rather than personal. Here are a couple of clips from Lahakat HaNahal, “The Officer Forgave” (with very telling photos) and “Comradeship” (an archetypical expression of the Zahal ethos). 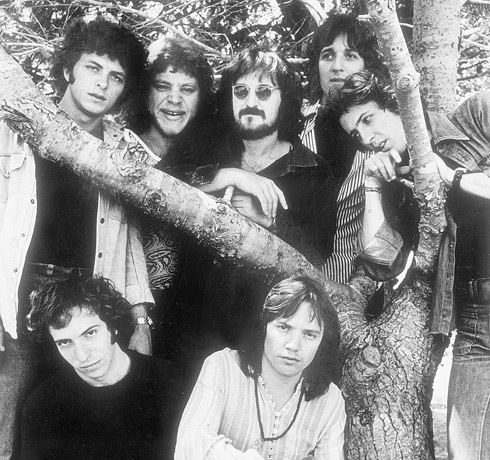 Musically, I felt like I had been exiled to Goth from Medici Florence – Dylan, The Band, Joni Mitchell, CSN&Y, Janis, Hendrix at the height of their creativity. So I bought myself a little Phillips record player (paying 120% tax) and spent a number of years avoiding the native music by hiding my head in my box of 40 albums. But then came the Yom Kippur War, with my new country tottering on the brink of extinction. In its wake, everything changed, including the music. The idealism of youth was shattered, and Israel began to awaken to the big world outside. Two new artists spoke to my ears in aesthetically mature and culturally engaging voices – Kaveret (Beehive) and Matti Caspi (b. 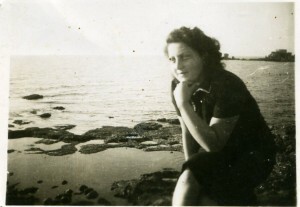 1949). His first two solo albums (1974, 1976) are still among my very favorites today. Matti has travelled a long and bumpy road, musically and personally – an acrimonious divorce, self-imposed exile to Los Angeles, never reaching the same creative heights of those early albums. What has remained a constant is his sinuous, challenging, beautiful melodic and harmonic voice. You can invariably recognize a Caspi composition within a couple of bars. He’s primarily a composer (always using collaborators for lyrics). He’s a knock-out arranger (as our SoTW will show), a very honest and touching singer, an almost virtuoso multi-instrumentalist, and a terrific performer. He also has the driest sense of humor this side of the Sahara (actually, we’re pretty close). I really can’t do justice to the entirety of Matti Caspi’s large and varied corpus. Here’s one of my favorites, ‘How Dares the Star?‘ And another, ‘Here, Here’, using musical terminology to describe a song about a relationship. Here’s one of his most moving love songs, ‘Brit Olam‘ (Eternal Covenant). And here’s one of the funniest clips I’ve ever seen, ‘A Man Should Not Be Alone‘ (which also got its very own SoTW 150 all to itself, together with the Adam and Eve story). The text is from Gen 2:18. Matti was born and raised on a kibbutz, so he’s no stranger to the cowshed. Note the footwear. Towards the end, he says, ‘Kulam!’ (Everyone join in singing!). The dove spreads her wing, gliding afar, her eyes longing. At daybreak she coos, and at nightfall is dumb, her wings alight. Onwards, onwards, above the water she hovers, still waiting. Way up above the Hills of Gilboa, above the clouds, the road is long. The allusion, of course, is to Noah’s dove, searching for dry land. The dove holding the olive leaf in its beak is Biblical. In early Christianity, the Hebrew ‘aleh’ was mistranslated as a branch. As a symbol of the peace of the soul, the dove appears in 4th century Christian art. 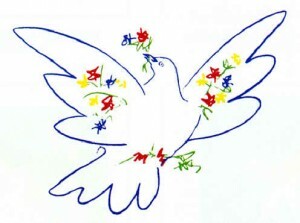 It referred to political peace as early as the 5th century, but was popularized by Picasso’s drawing La Colombe for the UN in 1949. Matti orchestrated the song for a popular musical festival (when you watch the clip, remember that ‘music festival’ for me meant Woodstock), gave it to Netanela to sing, and the result was indelible. Here’s the memorable live performance; here’s the original recording (pay special attention to the beautiful orchestration). Here’s a lesser, later version of Matti and Netanela dueting on it. ‘Shir HaYona’ expresses a similar sentiment, a wish for transcendence, also a secular prayer. It struck a most responsive chord in the hearts of a people reeling from a national trauma, and gave voice to its deepest wish – to simply be left to lead a normal life in peace. 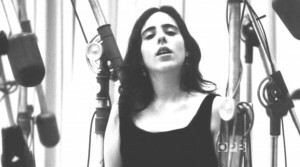 In 1974, even though much of my musical tastes lay elsewhere, my heart was in Israel, recovering with everyone else from that national post-war shock, and this very beautiful song gave voice to that longing. I think the sentiment, and the song, are still very beautiful and truthful today. For many years I’ve been living inside the music I listen to. Like any other devotee suffering from arrested development, I’ve played with my little tin soldier fantasy Dream Teams, even in my dotage. What if Bill Evans and Gil Evans had collaborated? What if Laura Nyro had followed David Geffen to Asylum Records? What if John and Paul had realized their dream of playing with Buddy Holly? I recently had the very good fortune to play Dream Team for real. I’ve been an avid activist in the burgeoning ‘modern a cappella’ scene, especially in its European flavor, for the past ten years. The Real Group, The Swingle Singers, Rajaton, Vocal Line, even Pentatonix. I do live in and for this music, so it is with great love that I say that its form and technical sophistication has far outrun the content. There’s tons of great technique and very little creative, new, substantial music. It so often comes down to very clever, very charming, very sophisticated covers. I listened to “VOCAbuLarieS” a couple of million times, and it became quite clear to me that this was the first important creation to come out of the music I love so dearly. 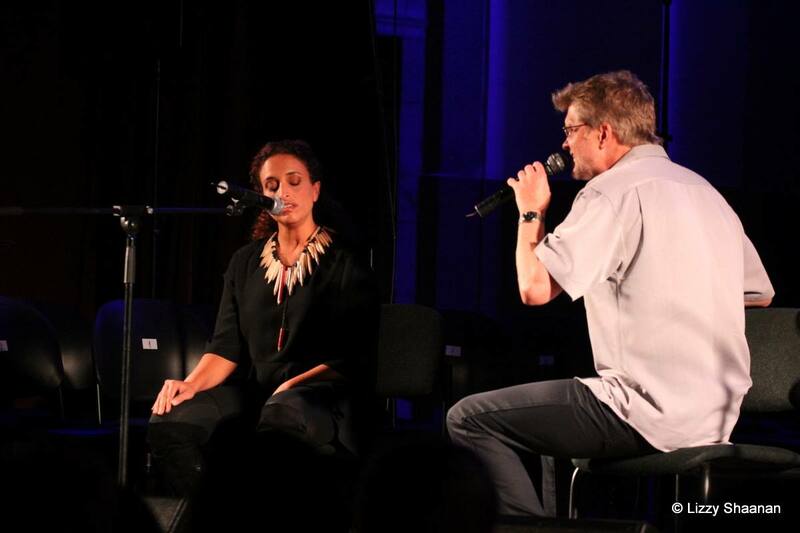 So I jumped at the chance to have a sit-down with Roger at the AAVF a cappella festival in Aarhus, Denmark in 2013. We talked Bible and belief, vocalisms and musical vocabularies. I told Roger that it seemed to me that VOCAbuLarieS was (among many other things) exploring the very roots of the voice and music (to which he readily agreed); but suggested that the palette could be expanded beyond the African and classical sources of his masterpiece. I raised the idea that he should come to Israel – the crossroads of three continents, the intersection of African and and North African and Mediterranean and Middle Eastern and Near Eastern cultures, a country of immigrants in which young people are conversant in 70 different musical languages. Roger is very Bible-oriented, so the idea of visiting God’s home court was greatly appealing, and he readily agreed, in principle. 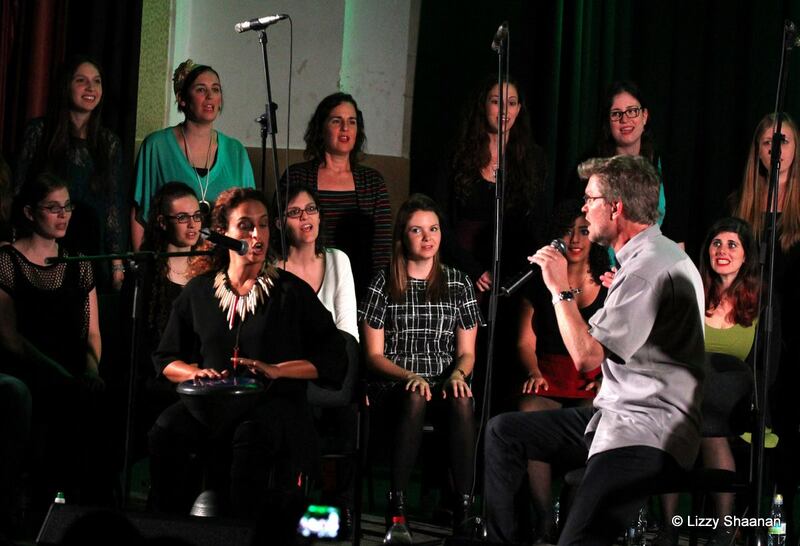 I went back home to the wholly holey Holy Land and had the great fortune to form (together with my partner Ron Gang) Vocalocity, a 40-voice modern a cappella group under the musical direction of Kevin Fox (UK, The Swingle Singers), conducted by Erez Tal. Achinoam Nini, or as she’s known world-wide, Noa. 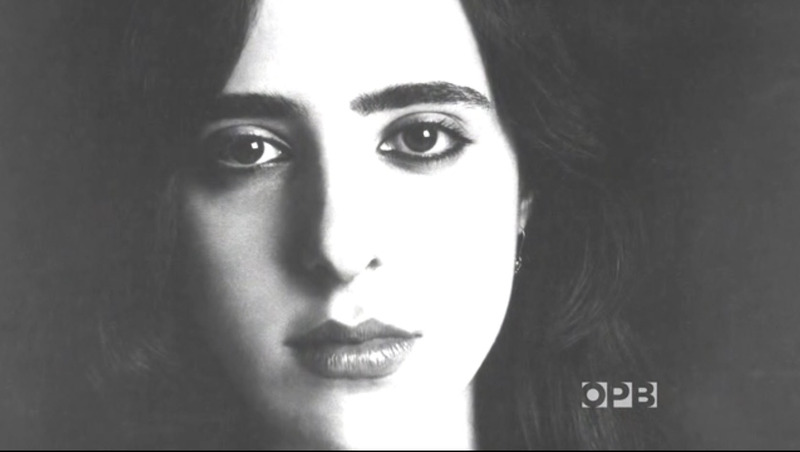 Born in Israel to a Yemenite family, raised till her teens in New York, she’s a virtuoso singer defying categorization. 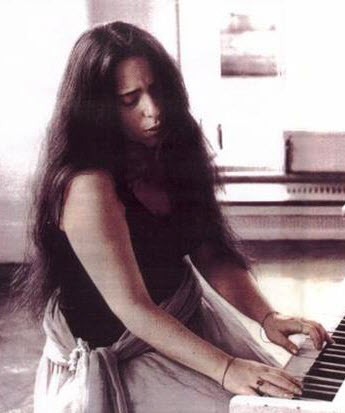 She’s had a remarkably varied and sparkling career both in Israel and internationally for 25 years. Her music draws from the pools of American singer-songwriters to her Yemenite roots to jazz, opera, traditional Italian, and classical Israeli. Together with her long-time musical partner and collaborator Gil Dor, she’s displayed an exceptional mastery of a wide range of styles and genres in collaborations from Andrea Bocelli to Sting to Pat Metheney. 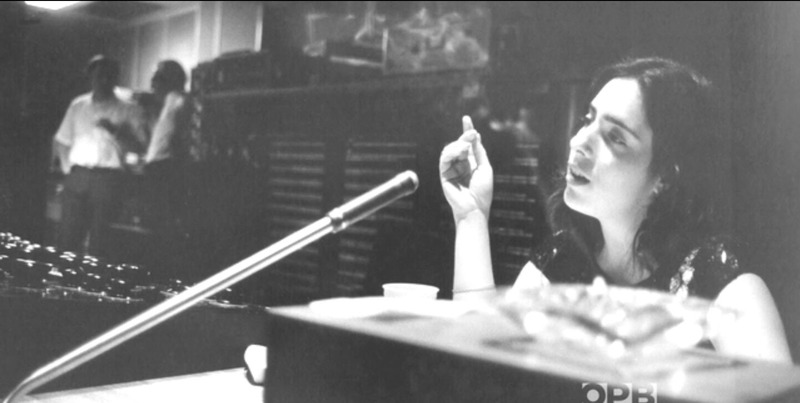 She’s a warm and unpretentious person, an outspoken peace activist who provokes no little controversy in her home country for her relentless pursuit of her political agenda. 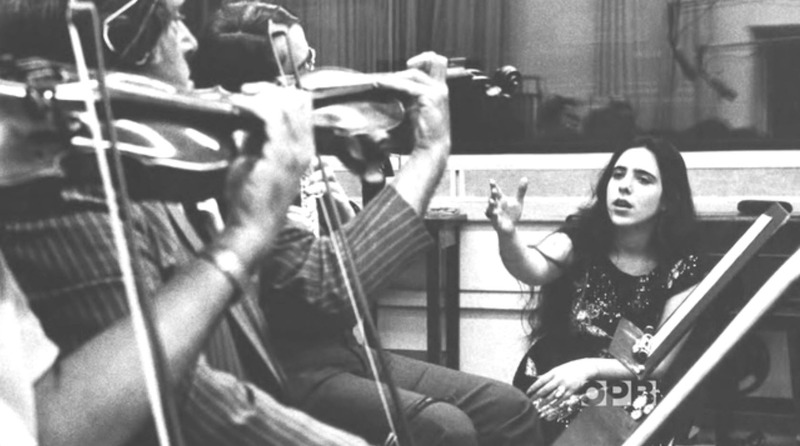 A woman of the world, Made in Israel, a true musical polyglot. Not just new. Achinoam’s melodic and percussive inclinations, Gil’s harmonic and structural predilections, and Roger’s unique abilities to grasp the ephemeral, to ‘architect’ the fleeting moment of the magic that can only emanate from the (almost always, but not here!) ungraspably improvised. Together they could permanentize the moment. 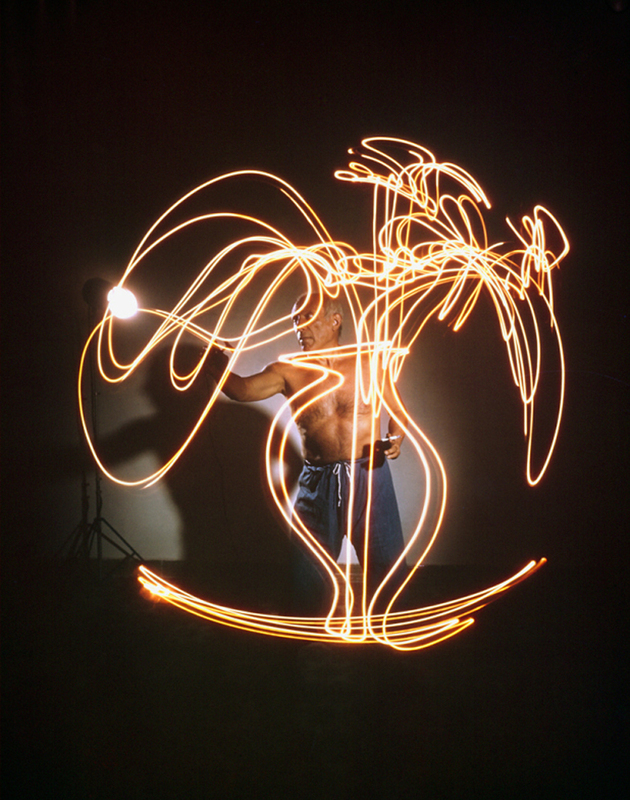 I think of Picasso’s ‘light paintings’. 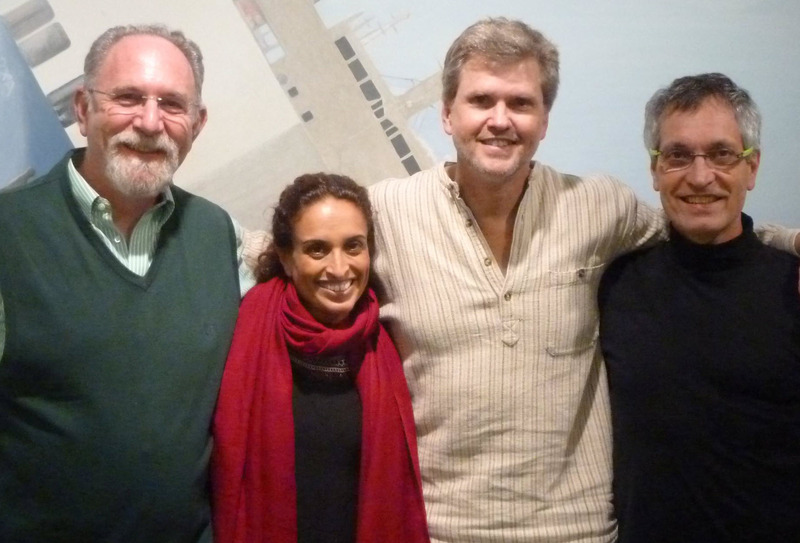 Now all that was necessary was to move this meeting of luminaries from my imagination to reality. 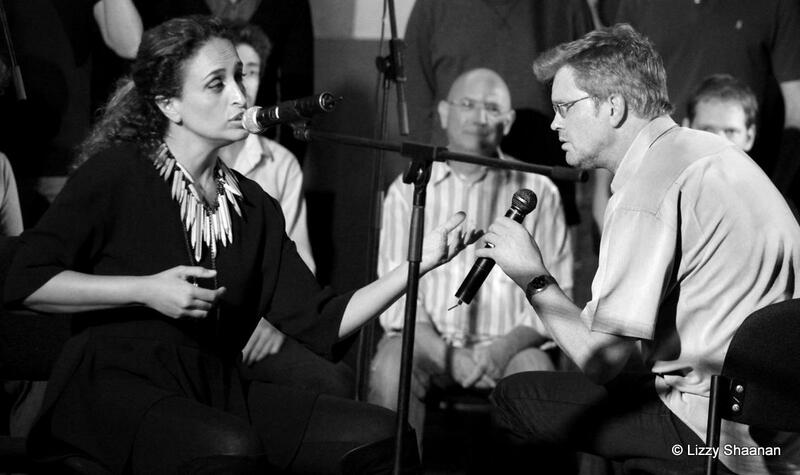 Roger and Vocalocity met at the Aarhus festival in May, 2015. We talked about the actuality of The Project – later to be named by Achinoam “NotesAre”, a homonym withנוצר (‘Created’) – based on bringing him to Israel for a series of workshops, presentations and rehearsals. Roger was game from the git-go. I spoke to Achinoam (the luxury of living in a small country). She heard “VOCAbuLarieS”, said “It’s a masterpiece”, and graciously agreed to make time between her extensive touring and personal commitments for her and Gil to participate in a series of three workshops with Vocalocity and Roger. A lot of people have asked me why Achinoam and Gil agreed to participate in such an experiment (gratis—because we could never have afforded their fees). After all, they are stars with a very demanding schedule and lots of obligations. Truth be told–they’re musicians. Dangle a juicy artistic challenge before them, they can’t resist. In these first three years of managing the virtually unfunded Vocalocity, I’ve too often said to professional musicians “I can offer you an exceptional musical opportunity, a unique instrument to play on, but unfortunately no (or very little) money.” They always listen. They’re musicians. I hope the day will come soon when we can pay people their just rewards. So with the backing of Mil”a (the Israeli choral organization which Ron Gang heads) and the US embassy in Israel, we set a series of three workshops together in mid-November, two at the beautiful Elma hotel/music center, the third in front of an audience on the lovely stage of the YMCA, almost unadvertised for contractual reasons. 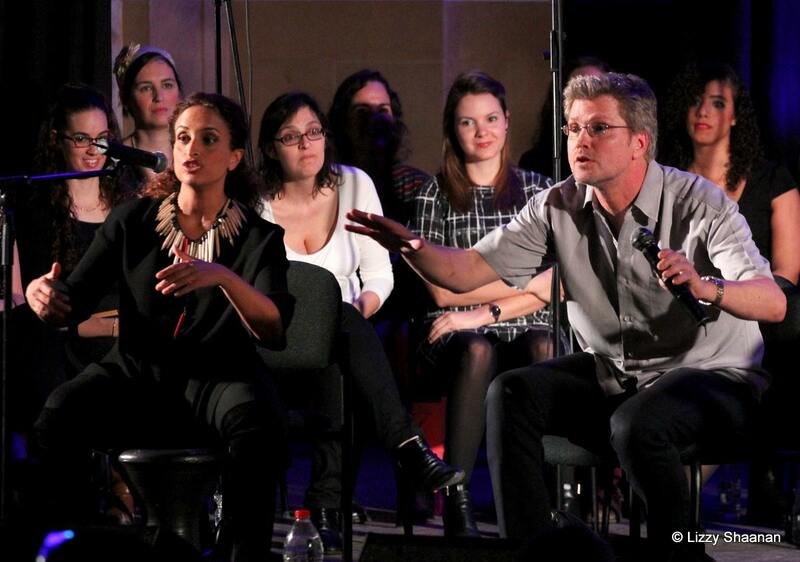 But that was okay—we called it a ‘happening’, an open workshop, as opposed to a concert. It was all about the process. Real musical engagement, not a show. Roger sent us all a batch of ‘palettes’ to warm up our ears and voices – extended phrases in gibberish, choral chord progressions with intricate interlocking rhythms between the voices – such as Bring Us Home and Du Mac Dum. Vocalocity went over them with Roger via Skype. We sent them to Achinoam and Gil, but they were off with the Pope and Andrea Bocelli, so we figured they wouldn’t have a chance to go over the palettes before the workshops. At our first tripartite meeting, Achinoam walked into the room carrying her palpable charisma, her warmth and a pile of papers. Greetings and hugs. What are those papers? “Well, Gil and I were listening to some of Roger’s gibberish lyrics, and some words started to coalesce. Like in “Bring Us Home”, ‘zinko zemuga’ became “Zeh po, zeh mugan (זה פה, זה מוגן)”, which in Hebrew means “It’s here, it’s protected”. You have to remember—Israel’s a volatile place, tsuris by the barrelful, and Achinoam is a passionate, indefatigable peace activist. Words as simple as “It’s here, it’s protected” carry a tremendous valence. ‘Here’ is no generic center, it’s here in this wacky, wonderful country of Israel. ‘Protected’ is safe, secure—not from bogeymen, but from real threats. From Ayatollas with nuclear reactors, ISIS, and teenage girls carrying knives. Achinoam said that the song expressed her nostalgia for a different, a better Israel. I personally felt the words saying ‘Here, now, we have the ability to protect ourselves against adversaries’. It’s art, open to different interpretations. That I choose a different one from Achinoam is absolutely legit. In any case, we’re talking about the same subject. השיר הזה מוגן מפני הפחד\השיר הזה מוגן מפני כאב\השיר הזה נולד הרגע\השיר הזה בוקע מן הלב.\השיר הזה ישן וגם מפתיע\השיר הזה רחב כמו הים\השיר הזה מביט בנו, תומך וגם מריע\השיר הזה שלי ושל כולם. This song is protected from fear/This song is protected from pain/ This song is born at this moment/This song arises from the heart./This song is old and surprising/This song is as wide as the sea/This song looks at us, supports us and cheers/This song is mine and everyone’s. So we started singing. “Zeh Po” is nine minutes long, during the course of which my dream comes true. Roger assigns a bass riff. Then adds the baritones, then each of the other voices, in interlocking phrases whose interaction bouncing off each other provide the internal combustion driving the music forward. Gil Dor is coloring it in, providing a secure harmonic underpinning. 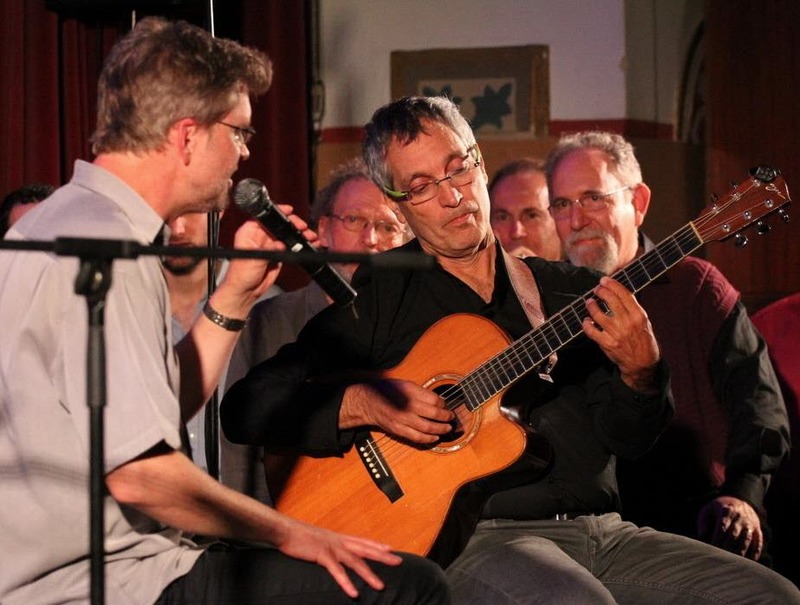 Achinoam begins to improvise, providing a linear, melodic focus to the mix. This is our first time singing “Zeh Po”. You can watch the magic, the moment of creation, right here. Here’s the same ‘piece’ several nights later. It’s been polished just a tad, (“choreographed” is Roger’s term). At about 5’50” and again around 9’00” you can hear that wonderful, mad clockwork complex of rhythms interacting. Achinoam coaxed one other distinct piece from a Roger palette. 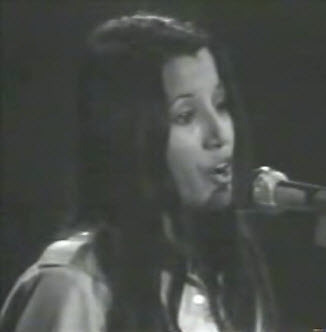 She cast a Yemenite spell on “Du Mac Dum 2”, giving us “Away You’ve Gone”. Achinoam and Gil and Roger and Vocalocity making the music I’d imagined three years earlier. I’m in heaven. I think we all feel that we’ve tapped a seam of gold. We put together a great virtuoso singer, the mad genius of modern choral music and a wonderful vocal orchestra. And we created Something New, something of beauty and substance, something that has never been done before, a new musical direction, one I passionately hope will continue to evolve in the future. I first published this posting two and a half years ago. 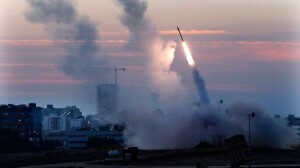 Yesterday, again, 40 missiles were shot from Gaza at my city. Plus ça change, plus c’est la même chose, right? But merrily we rock and roll along, whistling a happy tune and pretending there’s some coherence and logic on this orb. Well, at least routine. But in the interim I did make a new friend, the very talented young Danish singer/arranger/conductor Line Groth. And just to prove that I don’t love Laura only when missiles are falling, I twisted this poor Dane’s arm till she gave me this gift. I learned something this week: you can appreciate music even when missiles are falling on you. Well near you, anyway. Certain music you can appreciate even because missiles are falling near you. I live in southern Israel. My city had 86 missiles shot at it over eight days from our neighbors in Gaza. There’s an Israeli-developed anti-missile system called Iron Dome. It detects the missile, sets off alarms in the targeted areas. This is what it sounds like from my room. Everyone runs for ‘safety rooms’ made of reinforced concrete. Poets in the heat of inspiration. Kids on potties. Barbers in the middle of a haircut. Couples in flagrante delicto. Everyone. After half a minute’s warning, the whoosh of the Iron Dome. Then we wait 10 seconds for the boom. It might not come at all. Or it might happen up in the air above an open field outside of town. Or it might be among the 1/3 of the incoming rockets that aren’t caught, and it might fall on your next-door neighbor, or on you, or on your children. That’s the bad time, those 10 seconds. There are people around the world who say that Israel’s at fault in this conflict. I’m here to talk about music, not to shout polemics, but let me just say that Israel unilaterally withdrew from Gaza to the recognized international border seven years ago; that Israel’s rationale for the sea embargo is to prevent Hamas from stockpiling missiles; and that anyone who thinks one side is all wrong and the other is all right in a conflict as complex as this one is too biased to talk to. On one level, I dealt with the 86 sirens and the explosions with equanimity. No tears, no screaming, no bed-wetting; I’ve had a pretty full life. But still, I do feel a certain indignation, deepening with each day of sirens and explosions. Stop shooting at me! I don’t want to hurt you! Stop trying to hurt me! This war stuff is crazy! And a sound track emerged: I got fury in my soul, fury’s gonna take me to the glory goal – In my mind I can’t study war no more. Save the people, save the children, save the country, now! I’m reminded of a story my college friend Steve told me. He was in a bad place, dropped acid in the worst possible circumstances, and took off on a Bad Trip. He told me that he felt The Devil was about to envelop him. But he did have the presence of mind to sit himself down and put on “Eli and the 13th Confession”, knowing that Laura would protect him; she knew all about fending off Lucifer. That’s sort of how I felt this week. Laura’s unbridled love would protect me. Together with Iron Dome. Come on people, come on children, Come on down to the glory river. Gonna wash you up and wash you down, gonna lay the devil down. The song and the atmosphere that evoked it sent me on a binge of listening to Laura Nyro (not that I need much of a push). 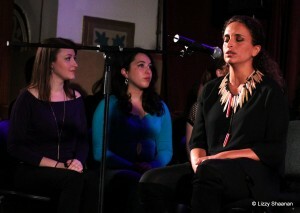 I listen to her frequently and intently and passionately. She is one of my very favorite artists. I usually confine myself to her masterpiece “Eli and the 13th Confession” and to “Spread Your Wings and Fly: Live at the Fillmore East”, recorded in 1971 but released only in 2004. Here’s ‘Save the Country’ from that show. While we’re at the Fillmore, here’s ‘Walk on By’, a knock-out ‘Spanish Harlem’, and the sublime ‘Emmie’. This time I revisited her entire oeuvre, particularly enjoying the 1970 “Christmas and the Beads of Sweat” (including ‘When I Was a Freeport and You Were the Main Drag’ and ‘Up on the Roof’) and this hour-long low-quality video “Live in Pittsburgh” from 1994. It begins inauspiciously – overweight (from chemotherapy? 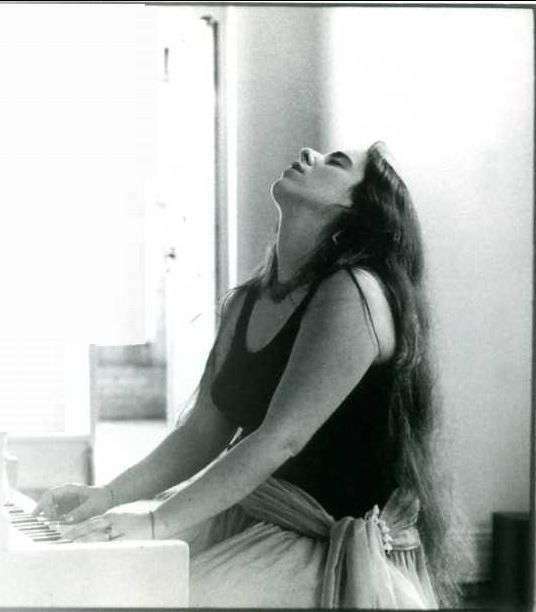 ); in Pittsburgh; in daylight; at a low point in her career and nearing the end of her life; on electric piano (why in heaven’s name?) accompanied only by 3 singers; and including songs dedicated to Animal Rights, Native Americans, and her own menstruation (no kidding). But amazingly, it’s a knockout. Here’s ‘Save the Country’ from that show. And just for good measure, here’s ‘Dedicated to the One I Love’ and from her first album ‘Blowin Away/Wedding Bell Blues’. Oh, and one I never appreciated before, ‘Oh Yeah, Maybe Baby (The Heebie Jeebies)’. And here’s a fine 10-minute film with and about Laura made by her long-time lady partner in 1995. 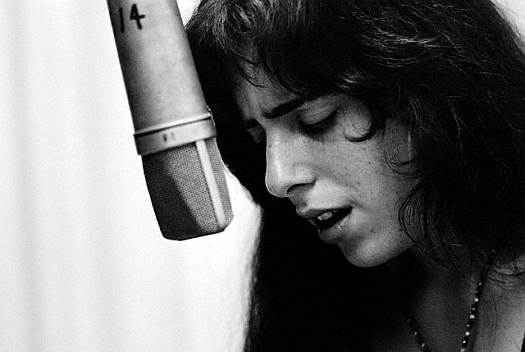 It reminded me just how much I love and admire and am inspired by Laura Nyro. She’s a major artist. 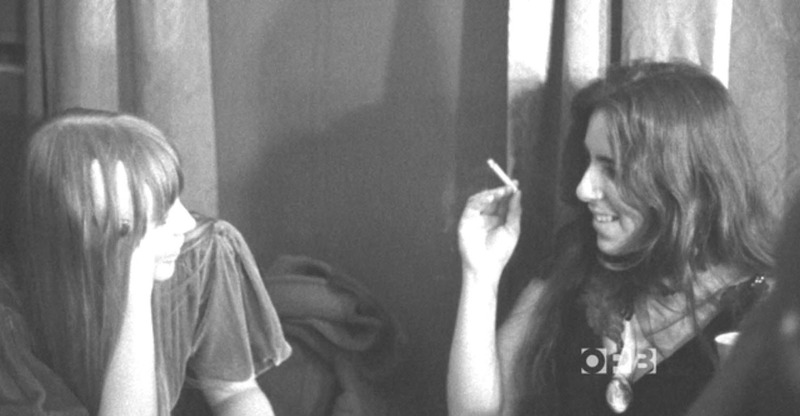 Together with Joni Mitchell, the two most accomplished women to emerge from the rock idiom. 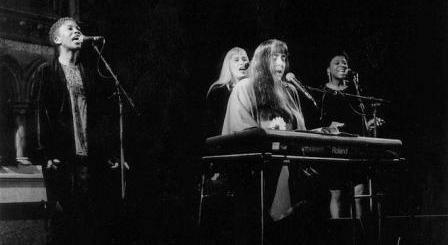 Joni is an artisan, a craftswoman, a perfectionist, every song a finely cut gem. Laura is all soul and inspiration, a look-ma-no-hands roller-coaster trip. If Laura was too quirky to be fully appreciated during her prime years, recognition of her talent and influence has been growing by quantum leaps in recent years. Elton John, guesting on Elvis Costello’s TV show, said “This is music so far ahead of its time that it still sounds unbelievable – the soul, the passion, the audacity of her rhythmic and melody changes was like nothing I’d ever heard before.” Rickie Lee Jones told me how deeply indebted she is to Laura. This year Laura was inducted into the Rock and Roll Hall of Fame by Bette Midler. 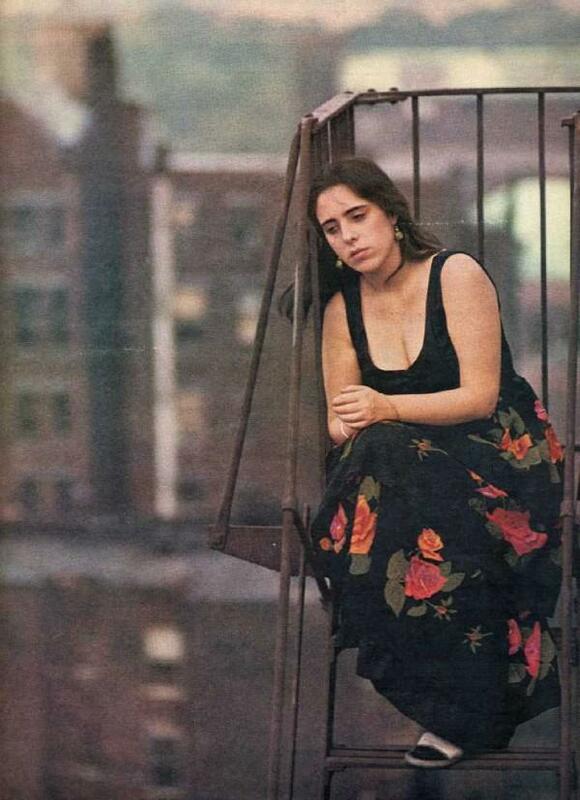 Mega-producer Larry Klein is working on a “Reimagining Laura Nyro” project with Dr Billy Childs, guests including Renee Fleming, Rickie Lee Jones, Yo-Yo Ma and Wayne Shorter . ‘Save the Country’ was Laura’s response to the assassination of Bobby Kennedy on June 5, 1968 (Keep the dream of the two young brothers). I remember the event and its context well. It was a trying time, difficult to maintain your equilibrium let alone envision peace. Not Universal Harmony. Just let-me-get-through-the-day-unscathed peace. The song was originally recorded that summer as a single, her first release after her monolithic second album, “Eli and the 13th Confession”, then subsequently in a different version on her follow-up “New York Tendaberry”. Laura was having a lot more success in the late 1960s as a songwriter than as a performer. 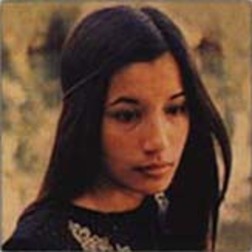 She had bleached hit treatments of her songs by Three Dog Night (‘Eli’s Coming’); Barbra Streisand with “Stoney End”, “Time and Love”, and “Flim Flam Man”; Blood, Sweat & Tears and Peter, Paul & Mary with “And When I Die”; and especially The 5th Dimension with “Blowing Away”, “Wedding Bell Blues”, “Stoned Soul Picnic”, “Sweet Blindness”, “Save The Country” and “Black Patch”. I’ve always felt closer to the single version. I find it a finely fashioned pop funk production. To tell the truth, I’ve never succeeded in snuggling up to “New York Tendaberry”. 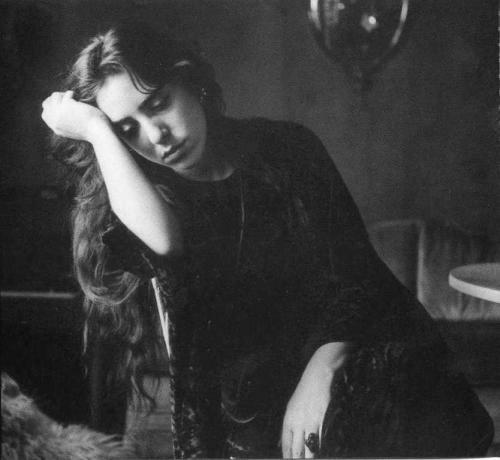 I find her slow, rambling songs (‘December’s Boudoir’ and ‘Woman’s Blues’ from “Eli”, most of “Tendaberry”), hard to follow – diffuse, unfocused, less engaging than when she’s being melodic. 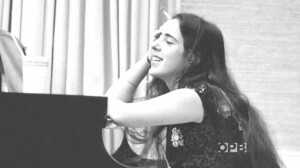 The first half of the Tendaberry ‘Save the Country’ is solo piano, and is fine. At mid-song it shifts gears in typical Nyronian fashion, to my taste to too hysterical a tempo, the orchestration overbearing. The version that grabbed me most strongly this time is the rare TV appearance (1968, I’m guessing), in unfortunately low quality. She takes beautiful rhythmic liberties, she swings and sings and rocks and smiles. She lays the devil down. She makes me believe – even as the sirens are wailing and the explosions are shaking my walls – that we can build the dream with love. That’s what music can do. Come on people, come on children, come on down to the glory river. Gonna wash you up and wash you down, gonna lay the devil down. Come on people, come on children, there’s a king at the glory river. In my mind I can’t study war no more. Save the people, save the children, save the country, now. Come on people, sons and mothers, keep the dream of the two young brothers. Got to take that dream and ride that dove, we could build the dream with love. Save the people, save the children, save the country, now!